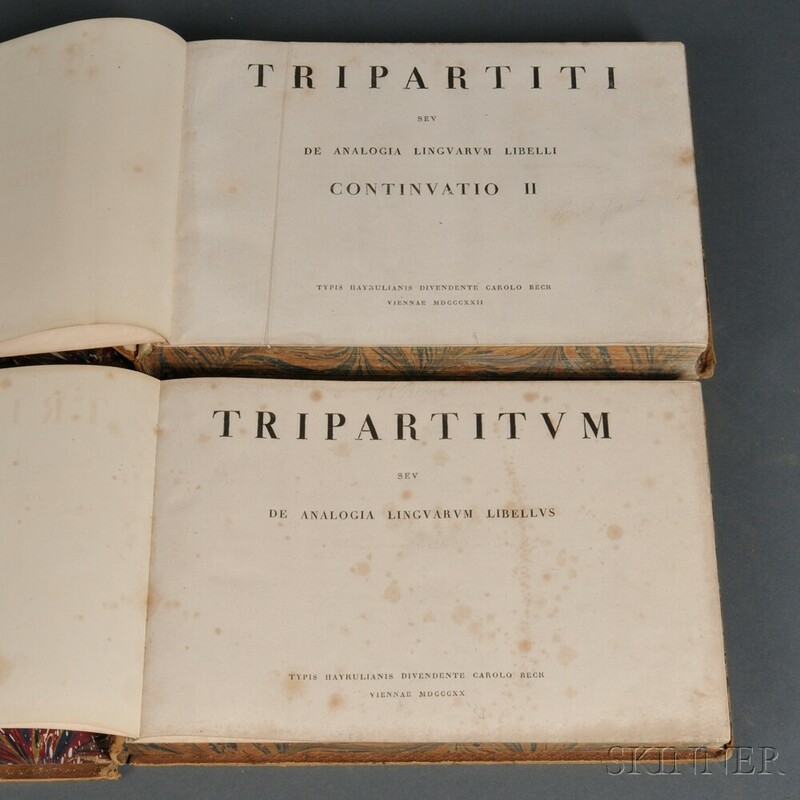 Merian, Andreas Adolph, Baron von (1772-1828) and Julius Klaproth (1783–1835) Tripartitum. Vienna: Typis Haykulianis, C. Beck, 1820-1822. Two landscape-format folio volumes, with folding linguistic tables, the text itself consisting of charts of comparative philology; bound in uniform full calf, with marbled edges and endleaves, all boards detached, spines loose and becoming detached, ex libris Bibliothecea Lindesiana, with bookplates inside both volumes, 14 x 9 1/2 in.